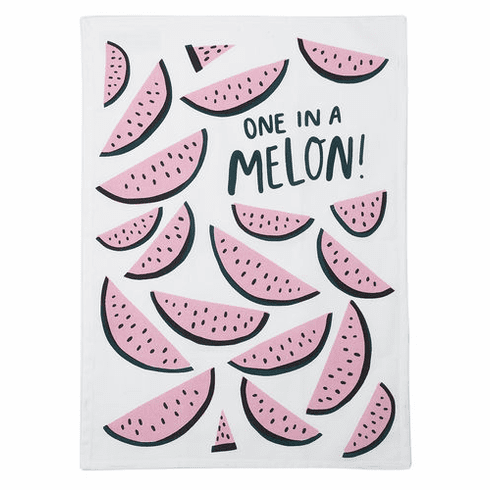 One in a Melon 100% cotton kitchen towels is whimsical and just plain fun! For your fav one in a million friend, this useful gift starring watermelon slices is a light-hearted addition to anyone's kitchen and will bring a smile to any dish dryer's face! Towels measure a generous 18 x 25"